In 1928, the company manufactured measuring instruments, including block gauges and micrometers. Mitsui Seiki's quest for "precision" had begun. 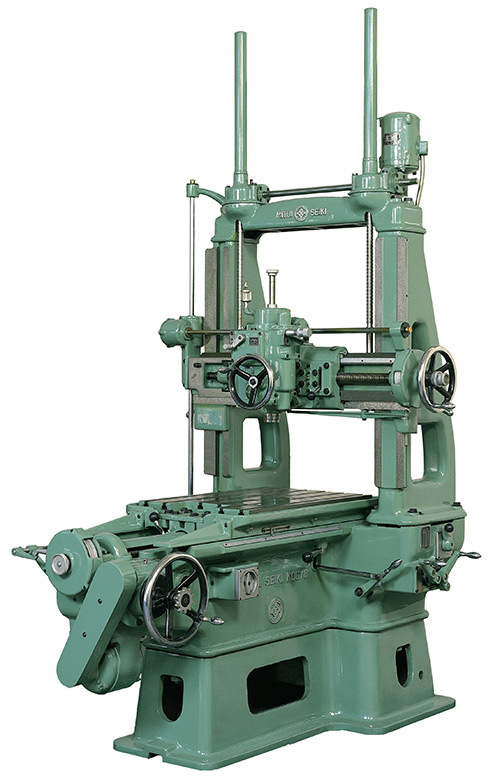 In 1935, the company developed our first medium sized “#4” Jig Boring machine to Japan’s delight. For many years the country wanted their own jig boring technology rather than importing it. They referred to it as Japan’s first “mother” machine because it was primarily used by other machine tool builders to make their critical precision components. It helped spark a fledgling machine tool industry in Japan. Since then, jig boring machines have become synonymous with the label “mother machines” worldwide. Currently, Mitsui Seiki offers a lineup of machines extending from jig boring machines, jig grinders, horizontal and vertical machining centers, to 5-axis machining centers and screw grinders that support the world’s leading industries. A Mitsui Seiki machine is created with a combination of highly advanced design, engineering, processing, assembling and measuring skills. In addition, an optimal factory environment that takes into consideration factors such as temperature is essential. Our dexterous skills handed down over the last 70 years, and our factory environment, allow Mitsui Seiki to create these extraordinary machines. Mitsui Seiki's Machine Tools Division moved from Tokyo's Ota Ward to Kawajima Town in Saitama Prefecture in October 2001. In the history of Mitsui Seiki, from its inception until today, “the ultimate in precision” has continued to be our central focus, our reason for existence. That will remain at our core for years to come.